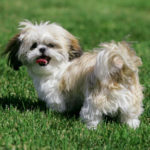 After you bring home a little and playful Shih Tzu puppy you have to think about its training. 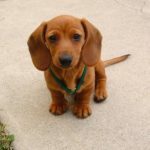 This cute toy dog is very active but stubborn, so, in order not to have problems in the future you have to teach it how to behave, who to respect and what it can or cannot do. Comparing with other dogs, Shih Tzu does not need lots of physical training. However, it does need some active games. 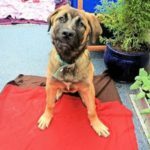 Moreover, its training does not include just teaching commands – there are some essential things the dog needs to know. The first thing in training should be a housebreaking process. 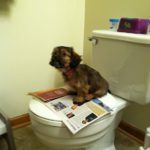 You have to decide whether your dog should to learn to poop outside or it will be a “home routine”. If you have a yard or you are able to go for a walk every day, you have to make a schedule where your joint walks will be included. Remember! 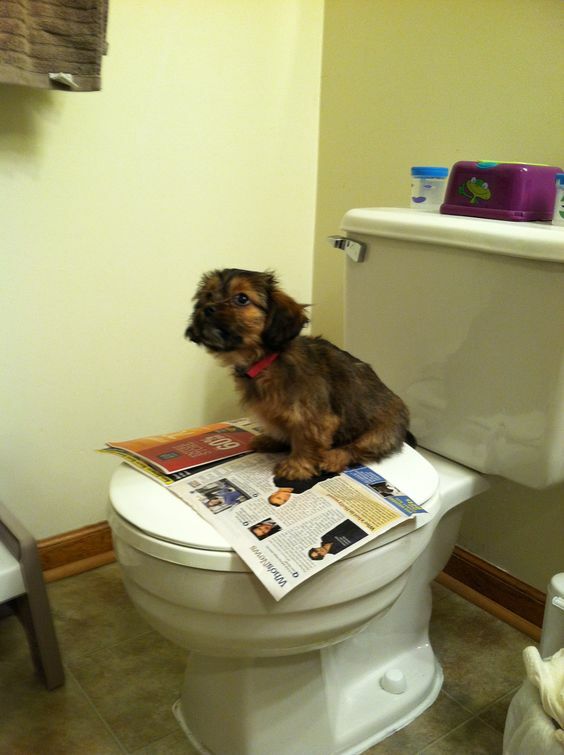 When it starts sniffing, squatting or circling, it means, a pet wants to defecate. If you notice it, direct your dog to a proper place. If you do not have an opportunity for going outside with your pet, buy a special box in a pets’ shop. Recommendation: do not forget to praise it. Positive reinforcement works better than negative one. Another step is crate training. You should teach your dog to go inside the crate in order it would learn that being there is not a punishment, but a treat. 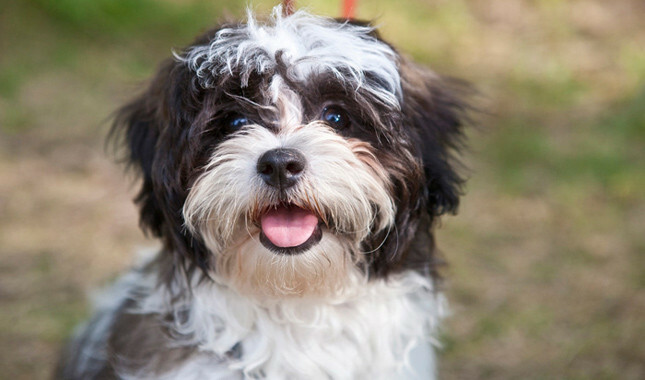 This training is important as you will be able to take your Shih Tzu to a vet at any time. 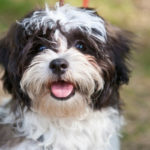 Moreover, keeping a dog inside its little “house” will help you to do a household chore when you can’t keep an eye on it. 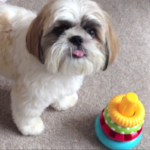 It is very important to expose your dog with different sounds. 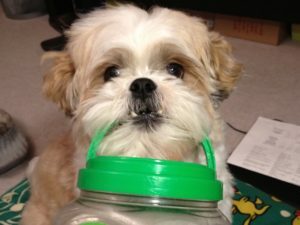 It will help to make your dog less nervous and stressed. Be careful! 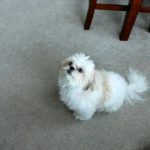 If you are overprotective, your dog can become aggressive and coward. 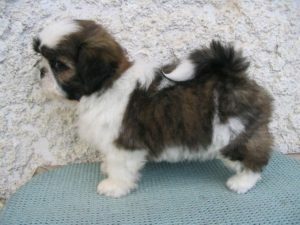 It is necessary to teach your dog to come to you when you say its name. It will make your relationship better and will help to prevent accidents. Advice: use a leash while walking with the dog: it should know that you are a friend but you are the main partner in your relationship. Do not forget to teach it such important commands as “lie down” and “sit down”. These tricks will provide a serious foundation for a solid training. Use positive reinforcement. 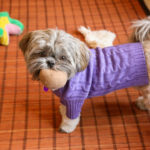 Shih Tzu is very dynamic and playful so treats will help to concentrate its attention on what is good and what it can or cannot do. 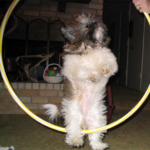 Training of Shi Tzu is a process where you both work as a team: you are the leader and the dog is your devout partner. It looks at you all the time it does something new, it waits for your smile when it comes to you and for your guidance when it is “lost”. This pet wants to please you all the time; therefore, you should be grateful for its obedience and loyalty. Warning! Negative reinforcement will never help you during the process of training. 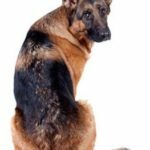 Do not punish your dog when it does something incorrectly; do not raise your voice or show anger. Instead of this you have to praise it when it does something the way you asked. It will give the dog motivation to be better and to work harder. 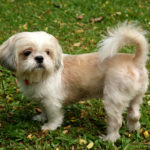 Shih Tzu is an extremely friendly, active and playful dog. That is why it is not that easy to teach it how to behave. It can take up to 7-8 months to teach it everything it needs to know. However, your patience will be rewarded: you will have a loyal friend, loving and adoring you no matter what happens.